We would like to thank you for visiting our home page. Our goal here is to produce happy healthy puppies. We would love to answer any questions you might have about these exquisite little dogs. All of our puppies are fully guaranteed. Our door is always open, for any questions you might have. We would love to talk Min Pins with you. 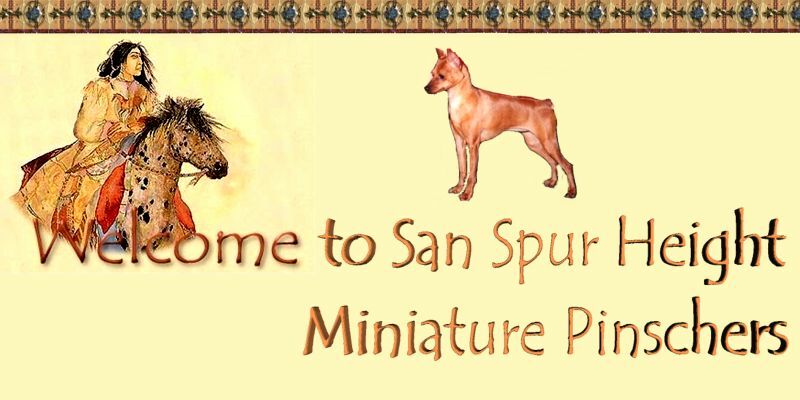 is owned by San Spur Height Min Pins.